As of a couple days ago, the Mariners Robinson Cano and Kyle Seager both lost out in their respective races for a Gold Glove award. For Cano, it would have been his third gold glove and Seager would have notched his second. If Cano and Seager had won the Gold Glove at second base and third base, that would have been a cherry on top of the defensive cake . Each man made countless spectacular plays over the course of one hundred and sixty-two games. And, the fact that they were selected as finalists for the award, is proof of their brilliance in the field. The two Mariners infielders lost the trophies to the Detriot Tigers, Ian Kinsler at second base and the Texas Rangers, Adrian Beltre at third. These athletes were very deserving of the hardware, maybe more so than Cano or Seager, but losing out on the Gold Glove doesn’t diminish how great these two Mariners were in the field. Cano plays second base with the same coolness and flawlessness as Willie Mays did in center. Cano regularly makes waist-side catches with ease. He ranges all over the field, demanding and commanding the ball, then making otherwise challenging plays look pedestrian. All the while, making very few mistakes. Cano made three errors in seven hundred and forty-three chances. Yet, while Cano’s defense was impeccable in 2016, he would even admit that his Gold Glove-nominated counterpart made the Mariners best defense stop of the year. Not just between the two of them, but arguably better than any of their other teammates. 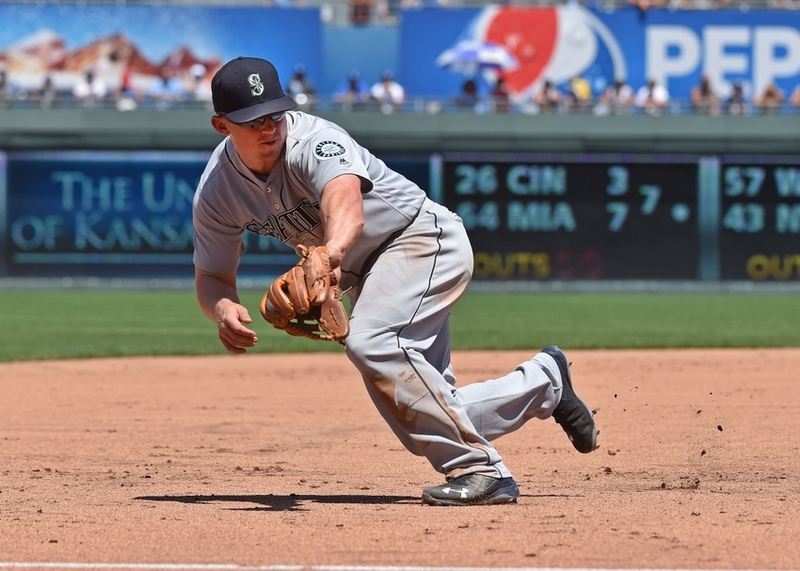 Kyle Seager plays at one of the hardest positions in baseball, the hot corner, third base. It has long been a position that eats players alive. Few have ever had control at the unpredictable base. When you think of third base you think of Paul Molitor, Mike Schmidt, Wade Boggs, Ron Santo, and if you’re a Mariners fan, Edgar Martinez. Now, I’m not suggesting that Seager is at the same level as any of those men (yet). But, I am stating, unequivocally, that Seager played an amazing year at third base by starting double plays, making diving stops and great throws, even saving games. Yes, there are countless plays that Seager made from April to October that allowed him to be nominated for the award, regardless of his position leading twenty-two errors. And none were more spectacular and crucial than his game-winning diving grab with the bases loaded and two outs in the bottom of the ninth in mid-August against the Los Angeles Angels. The pressure could not have been higher. On a 3-2 count, Andrelton Simmons skipped a ball along the third-base foul line. Seager tracked the bouncing ball all the way, as he ran over several feet, eventually diving at full extension to snag the ball. But, that was just part one of the magnificent play, he still needed to make the throw. The rest of the Mariners watched eagerly as Seager gained his composure got to his feet and threw a rocket to first. Much like the Simmons hit, Seager’s throw skipped across the diamond on its way to folk-hero and now free agent, Dae-Ho Lee. Lee capped off the epic play by making a solid grab to end the game. It was a play that epitomized the Mariners season in many ways. The Mariners led the league in one runs games with sixty -with a record of 30-30. The win came at a time when hope was building that the M’s could break the playoff streak of fourteen years. But, it was a false hope that was also felt in back in May and then in September. More importantly, it was a key defensive play that, for one moment, allowed us to looks past the Mariners numerous errors (especially in the infield minus cano) over the year, and marvel at the excellence of Kyle Seager. Afterall, it was this type of greatness that earned him and Cano the nomination for the Gold Glove.